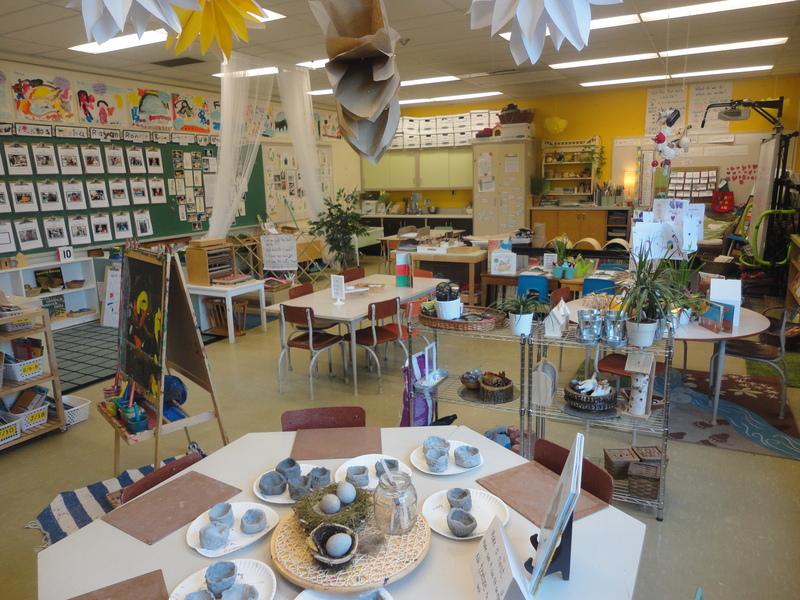 This entry was posted in Classroom Design and tagged Alexis McDonell, kindergarten art studio, Kindergarten math centre, kindergarten science centre, kindergarten writing centre, reggio inspired classroom setup, Reggio inspired kindergarten by msmcdonell. Bookmark the permalink. 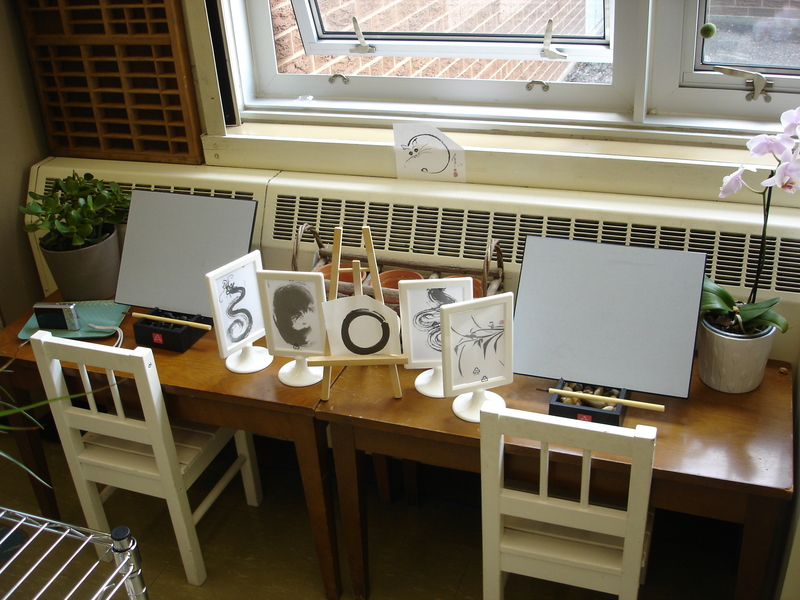 what exactly is a budha board and how does it work…..
You’ll notice in the picture that I set up this provocation with some examples of traditional zen paintings. 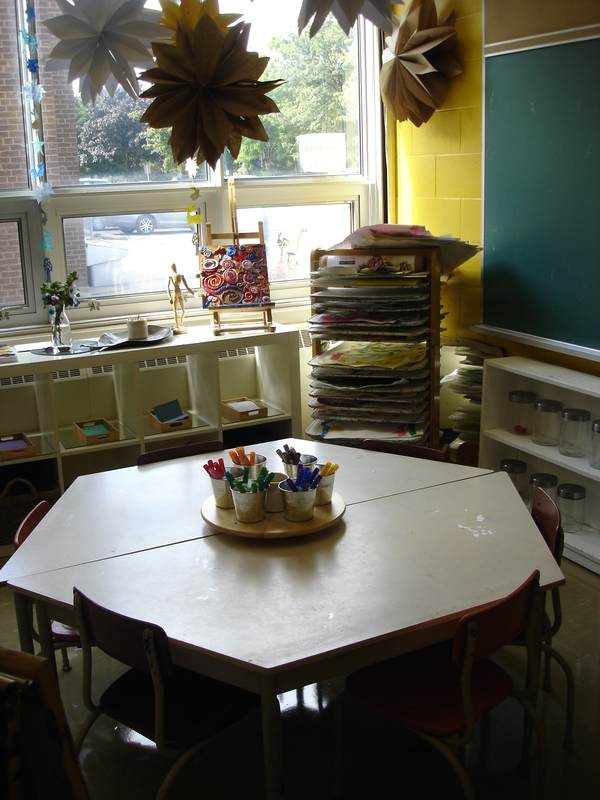 I also placed a camera at the centre for children to snap a photo of their painting before it disappears. 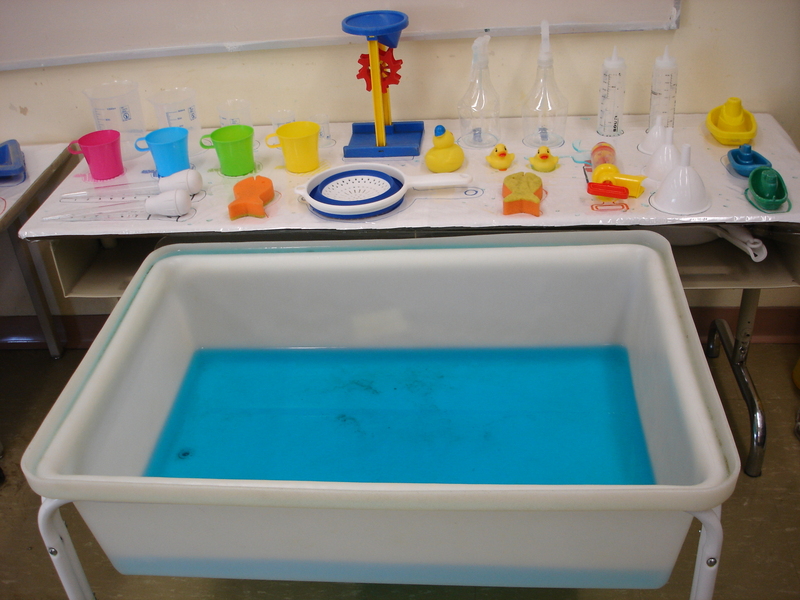 The children have begun to make some observations about how using a lot of water means the board takes longer to dry, less water and it disappears faster. I think there are some questions to explore there. I think it would also be useful to swap out the zen paintings for numbers or letters, names of classmates, etc. to encourage writing. 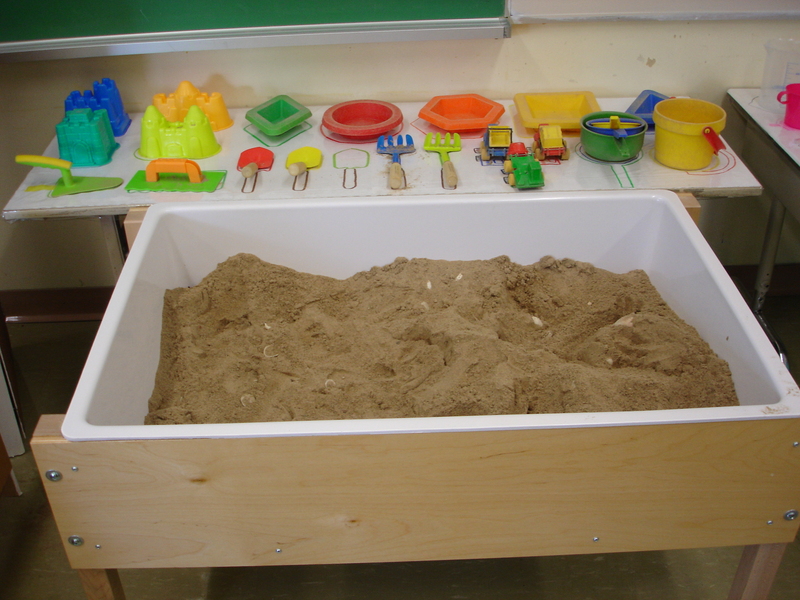 I recently attended a training on Project approach based learning and Reggio style. 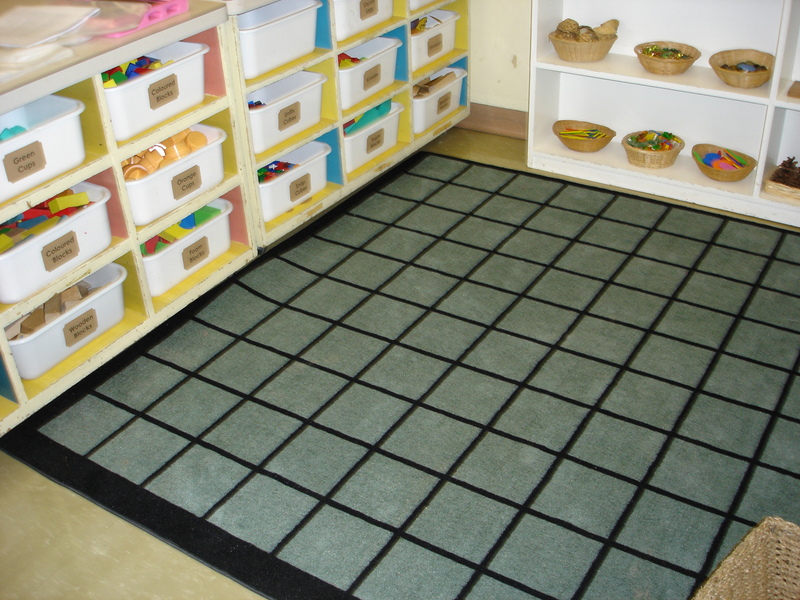 I would love to do the same for my preschool classroom, but I am having trouble getting started. 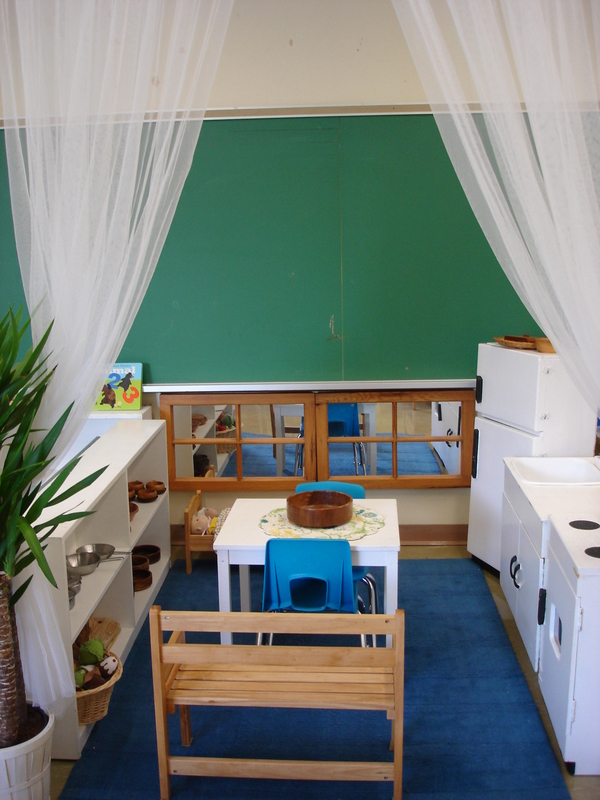 I do not have the luxury of having an open and spacious layout as many of the photos I have seen that incorporate the Reggio style. 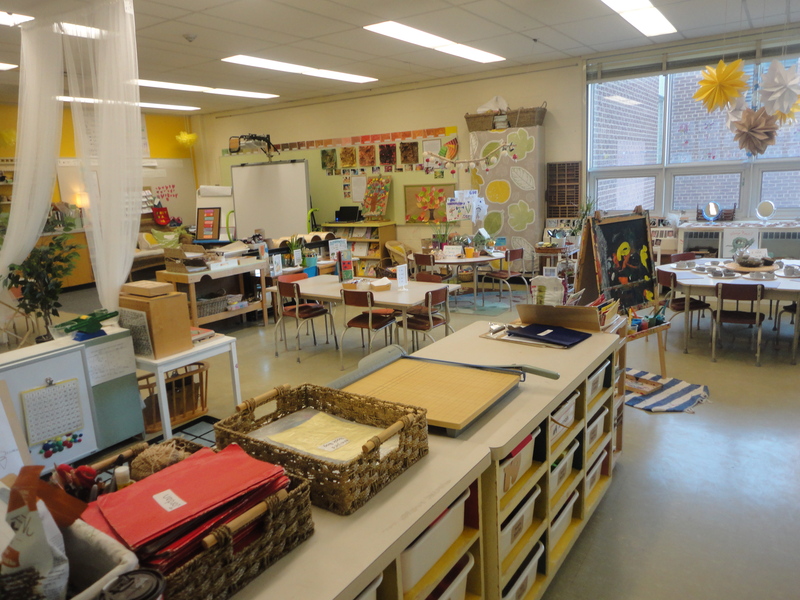 My classroom is rather narrow and long. 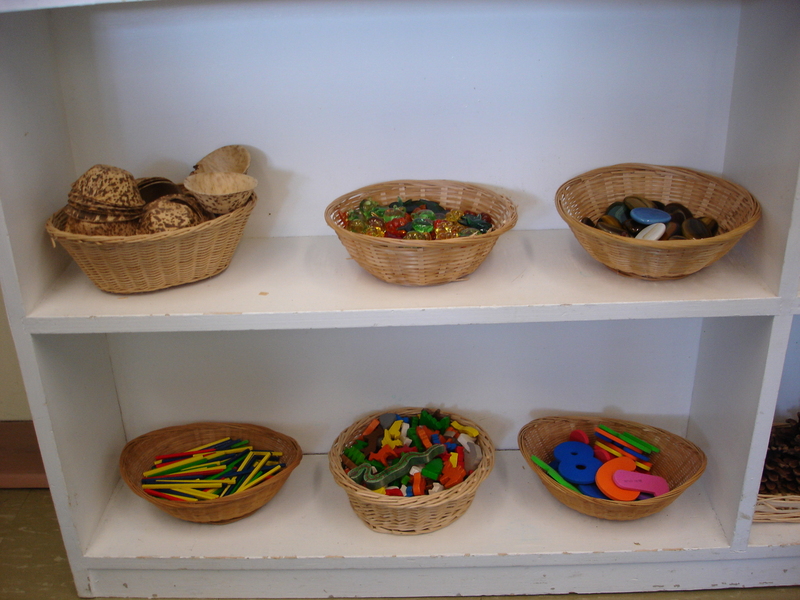 I like the way you have incorporated the elements of the Reggio style in your classroom. 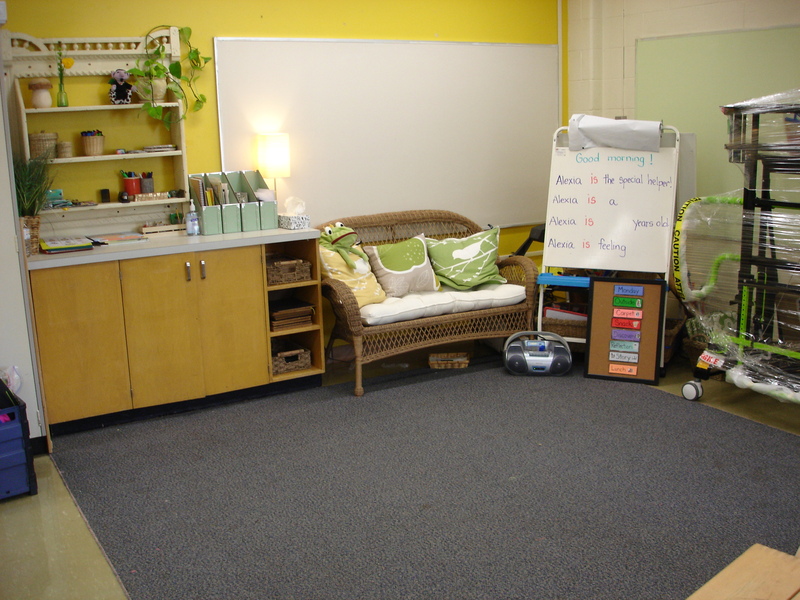 Is there a way for you to post a full length picture of your classroom? It appears you may be having to work with existing elements in your room that I have to work with, such as chalkboards, brick walls, etc. Thanks for stopping by my blog. Attending training sessions are always SO inspiring, but also sometimes a little daunting, aren’t they? I have been asked to do a full length shot before, but unfortunately haven’t had the chance to do one yet. 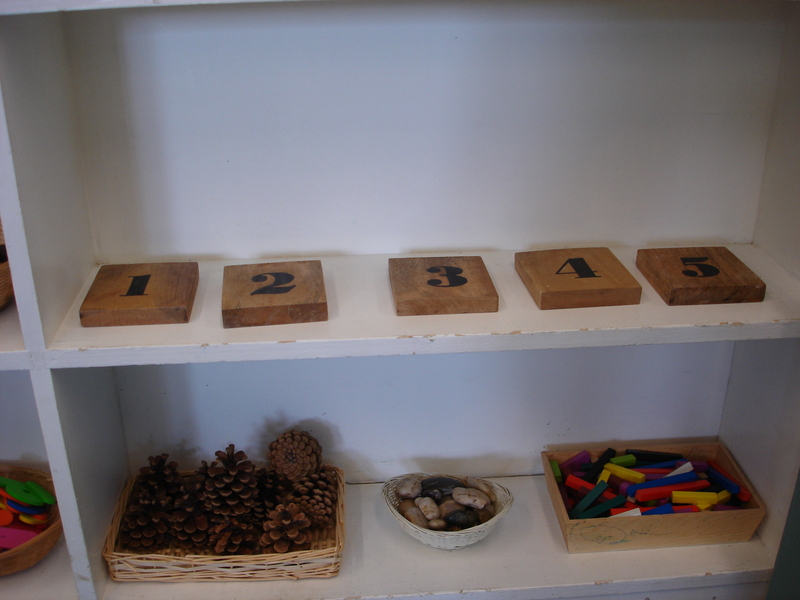 However, I have visited a number of Reggio-inspired spaces of all shapes and sizes. 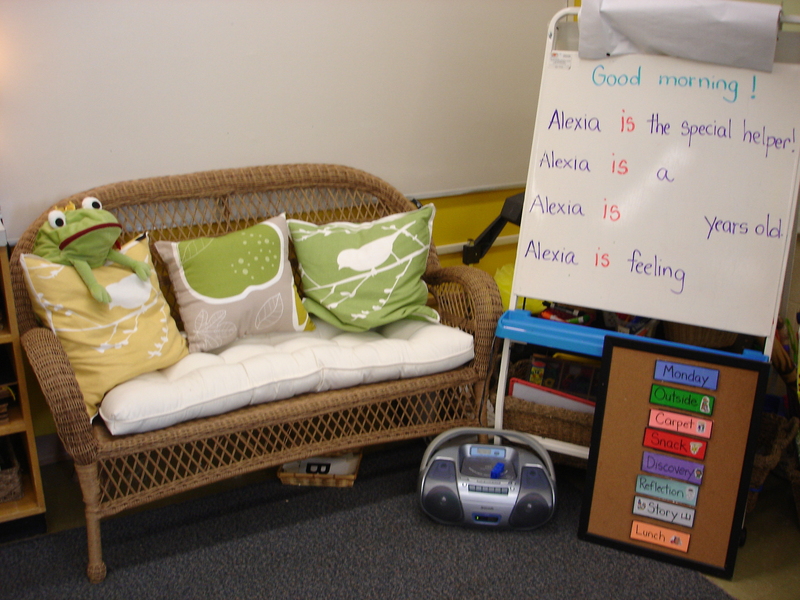 If I had one piece of advice it would be to work on the “feeling” of your classroom by incorporating neutral tones and cozy decor. 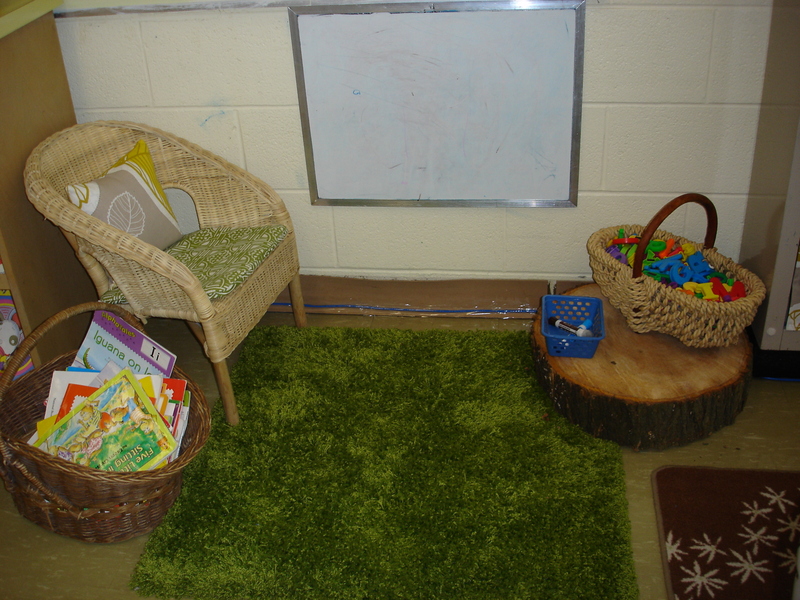 Because I inherited dark green chalk boards on two of my walls and bright yellow walls on the other side I brought in beige fabric with some yellow and green accents as well as some green, yellow, and cream pillows and area rugs (all purchased inexpensively from IKEA). 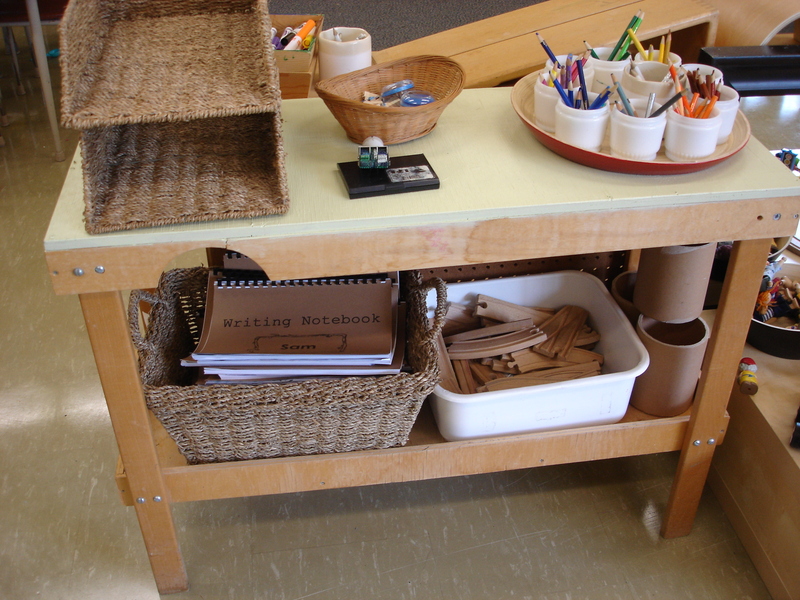 I know other teachers who covered their bright walls/cupboards with brown craft paper. 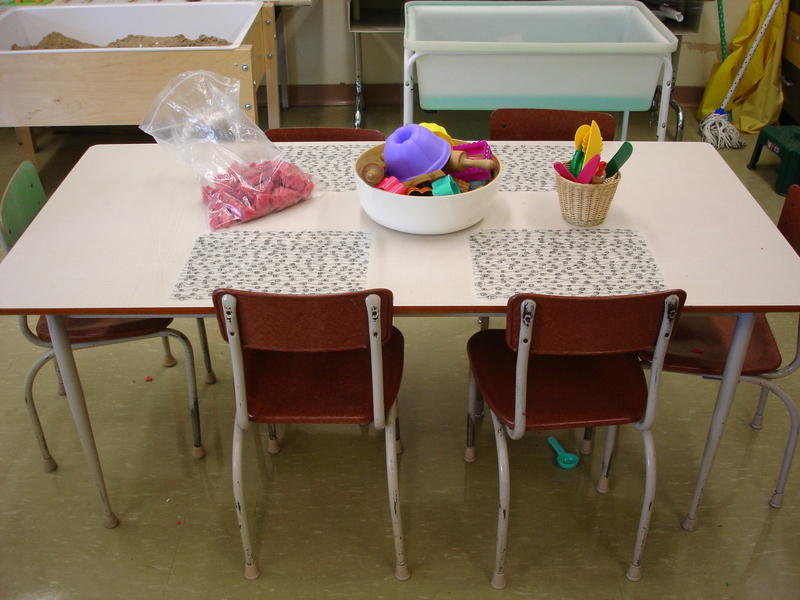 My tables are all neutral, as are my chairs. 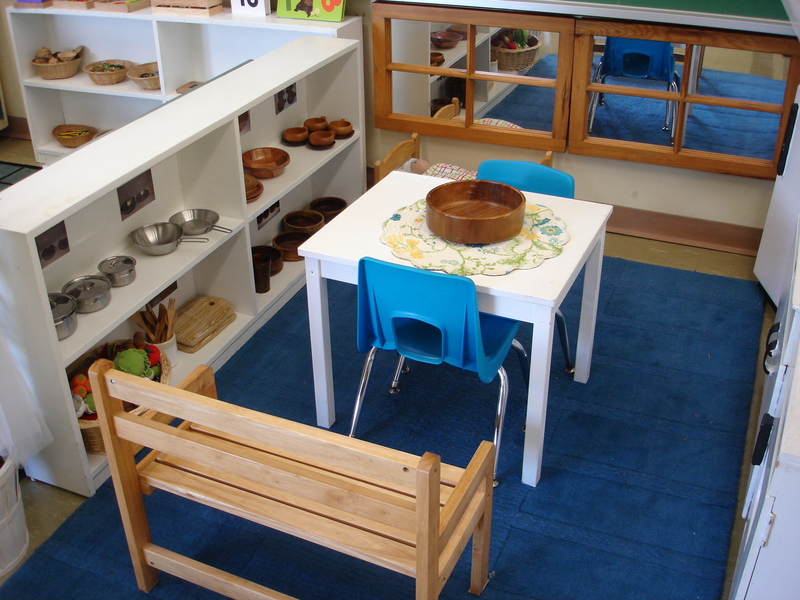 The rest is really down to furniture arrangement and interesting materials for provocation. 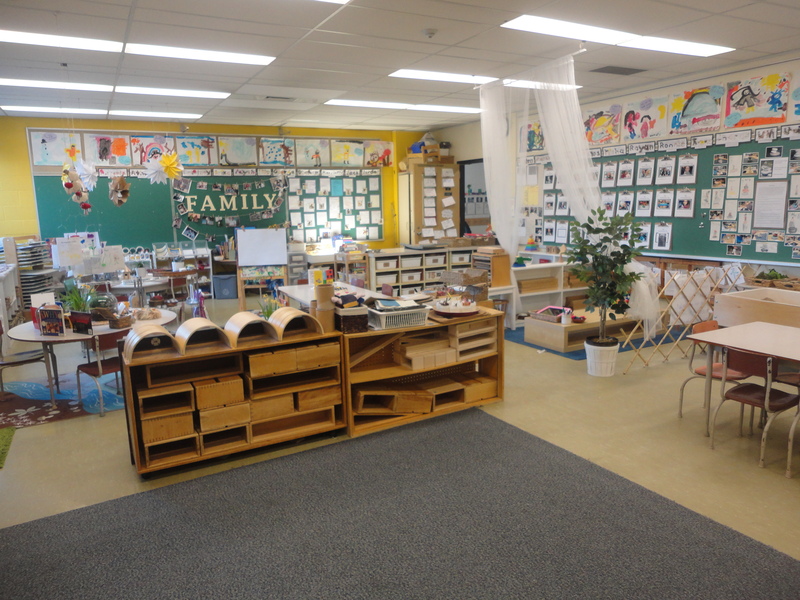 What isn’t evident from my photos is how close together all my centres really are – my space is not large. 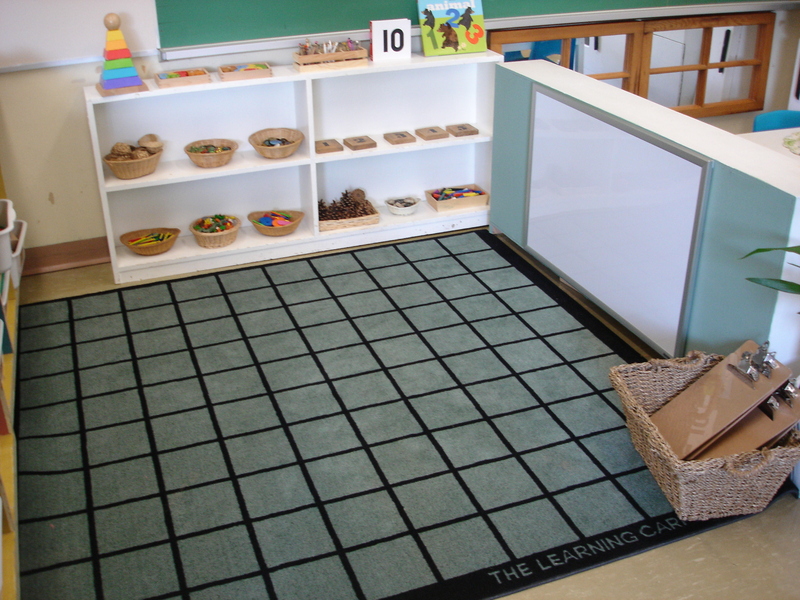 However, I tried to create distinct areas by using shelving/mirrors for dividers or carpets to indicate centre boundaries. I hope this helps. 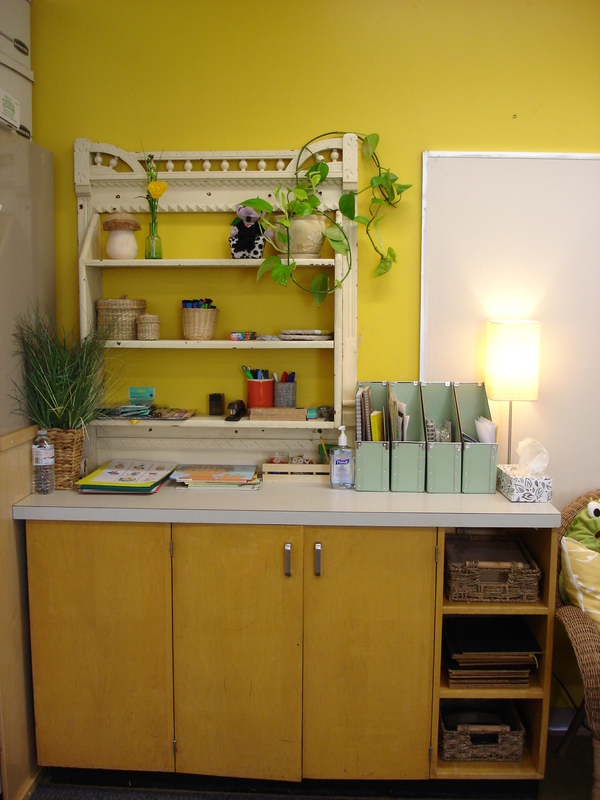 I’ll try to get some full length shots of my classroom up on the blog soon! 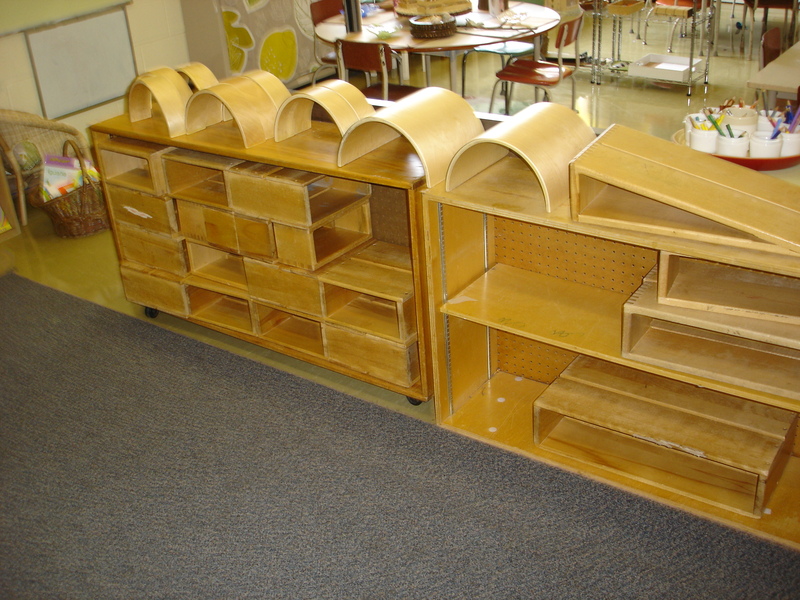 What are you using as your platform in the building area? It looks like it might be a piece from Ikea? Yes, it is an old low tv table from IKEA with the legs taken off so it sits flat. Hi, thanks! 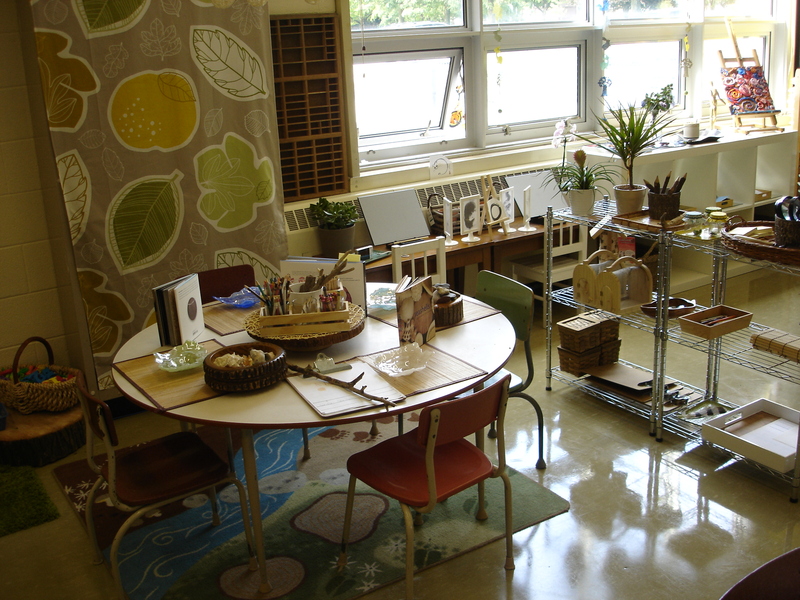 I got the stumps from an arborist and he chose what he said was a tree that was a “good candidate” for classroom use. I think they are cedar. I left them outside in the sun all summer so they were able to dry out a bit. They aren’t treated with anything and have held up for these three years. I believe the curtain was suspended from a rod I attached to my ceiling with string and clips. I had a a drop down ceiling with tiles and track which made it really easy to hang things. 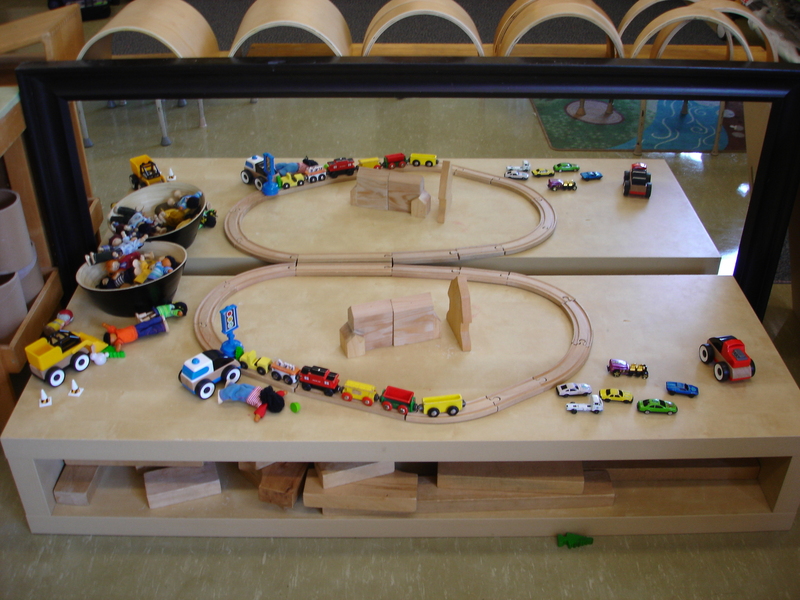 Where did you get the shelf that you use for the trains? Hi Kia! That’s an old tv stand from IKEA that I used to have in my home. I simply took the the legs off of it to rest it on the floor. I think the name of the tv bench is LACK and is still sold by IKEA.